Whether you have been blogging for one month, one year, or ten, it seems like a common thought runs through all of our heads… “How can I take my site to the next level?” I’ve managed to turn this blogging thing into a full-time income that allows me to travel the world, although that might just be due to my sheer persistence to do so. If you’re aspiring to turn your blog into your full-time job then you will need to start thinking about it more like a business and investing into great blogging tools which will help you reach that next level. The following list includes plugins, resources, and materials that I’d consider to be among the best blogging tools to help you reach that goal. These blogging tools are all things that I personally use, recommend, and pay for… The goal here is to drive more traffic, gather more emails, make more money, and ultimately become a professional blogger — even if you’re just making a modest income like me. We’ll be covering some web based blogging tools and software, books, and WordPress plugins, and ultimately the last point, which I think is the most important of all in your journey to blogging success. 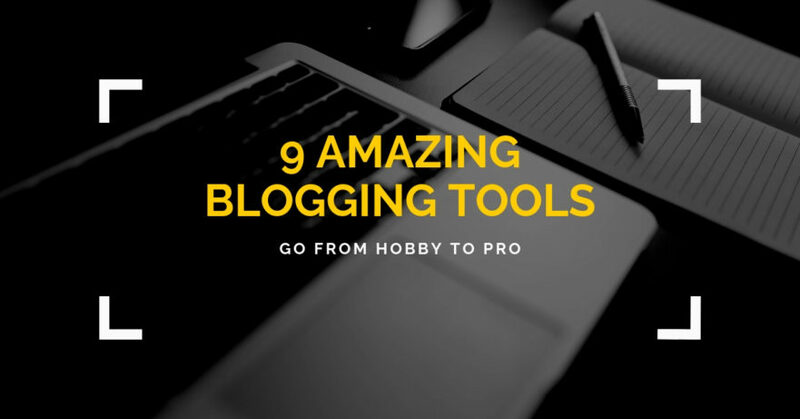 So, without further ado, let’s get onto the best blogging tools to turn your hobby blog pro. If you’ve been following any sort of internet marketing advice, then you’ve undoubtedly heard the importance of building your email list. But in today’s world “Sign up for my monthly newsletter” just ain’t gonna cut it. People are more reluctant to give out their email address, so you should craft some compelling lead magnet or optin offer to get them to sign up. And even if you’ve got a lead magnet, the next big question is HOW do you actually get people to sign up. Well, my favorite tool is OptinMonster which allows you to create tons of different optin forms which you can A/B split test to see which title/photo/offer performs better. Not only do they have welcome mats, popups, hello bars, side bars, and inlines, but they have a cool feature called “exit intent” which pops up as a user mouses over to the back button. Sad Truth: The vast majority of people only visit your site once, click back, and never come again. Having an exit intent popup with OptinMonster gives you the chance to capture their email with a compelling lead magnet so that they get to know you through email and come back to your site again and again. Speaking of email and how important it is, ConvertKit is the best of the email marketing tools that I’ve used (and I’ve gone from MailChimp to Aweber before I settled into ConvertKit). While MailChimp is free and AWeber was once the best entry level email service, ConvertKit came along and blew them both out of the water. I would recommend starting with ConvertKit rather than making the switch, you will save yourself a lot of headache and be able to do things right from the get go. Anyway, the reason ConvertKit is so awesome is because it takes a subscriber centric approach (rather than a list based approach) allowing you to segment and tag your subscribers based on their interests and actions taken in emails. I have autoresponders (evergreen emails that go out over a period of days or weeks) on truck camping, Colombia, budget travel, and blogging… With ConvertKit I can have a single subscriber segmented based on their interests. Furthermore, I can further segment and learn about a user, so that way if, for example, someone clicks on a Medellin link in the Colombia email, I can send them more info specific about Medellin. This way email subscribers are getting exactly the sort of stuff that they are interested. Highly, highly recommended. I lost a few years thanks to AWeber. Everybody wants more traffic… The best way to drive free traffic in the short term is through Pinterest. Facebook costs money and organic search results takes time. But a nice pin (use something like Canva with a stock photo if you need a really easy way to create good looking pins) linking to an informative post can drive regular traffic on a daily basis. Pinterest is my number one social media traffic source, and that’s despite having WAY less followers on Pinterest than I have on Facebook. A large part of that success is thanks to Tailwind. 1. Tailwind allows you bulk schedule tons of other interesting pins to be shared (per your schedule) over the following weeks or months. Having an active presence (even though just scheduled in advance) will help you get more eyeballs on your content. So share other people’s content with the scheduler. 2. Tailwind allows you to schedule your own pins across dozens of different boards with an interval. So let’s say you’ve joined 15 group travel boards, but it is bad form to share YOUR pin on all of them at the same time, so you can set an interval to share your pin every 3 days to a different board. 3. Tailwind Tribes where you can share your best content (to be shared by others in the share) in exchange for you sharing content from the tribe. While Pinterest is my biggest social media traffic source, it still pales in comparison to organic web traffic, primarily from Google, of course. I’ve used a variety of search engine optimization (SEO) tools but Keysearch is my absolute favorite… Keysearch has a number of features, but the big one for me is the ability to search for specific keywords and then see their monthly search volume, search trends over time, and the difficulty of ranking for that keyword. This means that before I hit publish (and sometimes before I ever write an article), I am scouring Keysearch for the best possible keyword that has the highest volume for the lowest difficulty score. Sure, there are some free tools like Google Keyword Planner or Ubersuggest, but they pale in comparison to a tool like Keysearch. In Keysearch, when you search for a word or phrase its keyword research tool will also bring up a slew of other similar or related keywords which can help you think about the best fit for your current article and also lead to other future article ideas, making your content creation plan a little easier. That’s only touching the bases of everything that Keysearch does, you can also track your keywords, do competitive research, and more. SEO optimization is still a long-term game, but you will be able to watch your sessions and pageviews climb in Google Analytics (be sure to link that with Google Webmaster Tools for even better insights about your organic keywords and position in search results). Virtually every business on earth uses paid advertising and has a marketing budget… So why should blogging be any different? Yes, I resented the fact that Facebook turned into a place where you have to pay for almost everything, but in turn they have created the most powerful and accessible advertising platform on earth with all sorts of demographic data. The fundamental piece of social media marketing with Facebook marketing ads is gained by installing the Facebook Pixel on your site and which tracks what users visits what pages, which you can then “retarget” with a Facebook ad that is aimed at following up with them… So if someone visits an article on traveling to Colombia, I can show them an ad with that is a specific Colombia landing page to help them plan a better trip… The goal is to bring them back based on their interest, get them to optin, and ultimately make some money whether selling my book or with affiliate links for things I use. You can also bring new people to your site by targeting based on general interests or even competitors — start by sending them to an interesting and relevant article and then retarget to those people so they become more familiar with your brand. 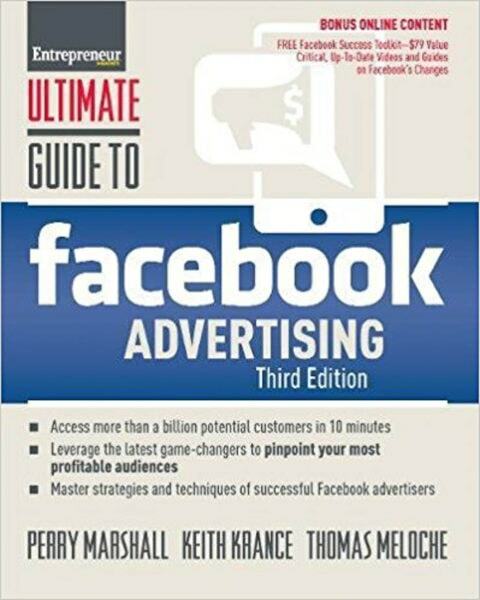 The best resource for learning about the power of Facebook and the strategy behind it is with Perry Marshall’s book Ultimate Guide to Facebook Advertising. It is super in depth, cheap, and even covers a lot of fundamentals of copywriting and general marketing. Up until now, we’ve been covering blogging tools or resources that are based outside of the WordPress ecosystem, so this is the first one that is actually a WordPress plugin which installs into your dashboard. Affiliate marketing (whereby you sell other people’s products or services and receive a commission for the referral) is the bread and butter of many bloggers and how they start earning an income online. It allows you to promote products you know and love (like I’m doing here) while earning a little money without ever having to create an entire product or service yourself. While you don’t need Pretty Links to promote any affiliate offers, it is very, very nice to have. You see, most affiliate products contain a bunch of code to track the sale, they are impossible to remember and they look very spammy or strange to a user… Pretty Links lets you easily turn any affiliate link (or any link at all) into a nice, clean, easy to remember link. I could never possibly tell you the link to my book Big Travel, Small Budget on Amazon, but if you go to www.desktodirtbag.com/bigtravelbook, it will take you straight there. That’s an example of Pretty Links in action. I use it for all my main affiliate offers and also use it for things like social media links, for example if I mention a new article in Instagram, I tell users to go to www.desktodirtbag.com/go and they’ll be taken there. You can also change where those links lead to at any time, which is a huge help if you ever ended up with a broken link that you need to redirect, you just change the destination in the WordPress dashboard, rather than manually searching through your site for all the times you mentioned X link. This is another WordPress plugin that helps you capitalize on the traffic you are currently getting (whether via Google organic search, Facebook ads, or Pinterest traffic) and provides some clean and simple buttons like those from Social Warfare so visitors can share that helpful article of yours on their social media accounts. But really, those buttons do work, people do use them, and they do result in traffic. Nobody is going to search high and low for how to share your post, so if you don’t make it easy for them, they aren’t going to do it. That’s just a fact, so use Social Warfare to help your visitors help you. Social Warfare creates those beautiful buttons that float along with you on the screen and also provide social validation as those posts rack up hundreds and then thousands of shares. I love CoSchedule! It saves me SO much time when it comes to social media… Social media management is a full-time job for some people, so it can be overwhelming for a solopreneur to have to deal with every aspect of their fledgling business from ideation, writing, content creation, photography, SEO, social media, etc, etc. But CoSchedule helps a lot on the social media front by allowing you to create templates and schedules to reshare your new blog posts various times across all your social media channels. Before publishing any blog post, I write up a few different headlines which will share a link to my new blog post on Facebook, Twitter, etc, on my preset schedule (like eight days over original publication, then 21 days after, then 60 days after), so I can get more eyeballs on the same piece of content. Withing CoSchedule, I’ve also added my most popular or evergreen of content into what they call ReQueue, which will automatically fill in any gaps in my social media schedule to share those old classics, if you will. Because let’s face it, thanks to algorithms, only a fraction of your audience will see your material, and as your blog grows, people aren’t going to have seen some of your oldest and perhaps best material. They’ve also got some handy built in tools like their headline analyzer to help you craft more interesting and clickable titles. CoSchedule is a no brainer for those who want to maximize their time in areas away from the minutiae of social media management. The best blogging tools are useless if you don’t have a grasp of the fundamentals about how to actually run a travel blog, what to write about, and how to make it into a long-term business — which you can learn from a solid travel blogging course. 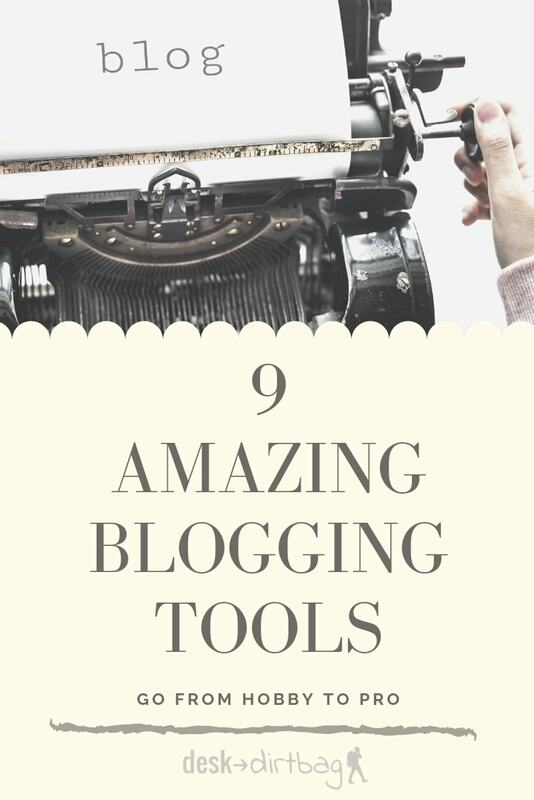 And while most of these blogging tools will be beneficial without a greater understand, it is impossible to deny that you will be able to compound on those results with an idea of the bigger picture and how these blogging tools fit in to meet your goals. 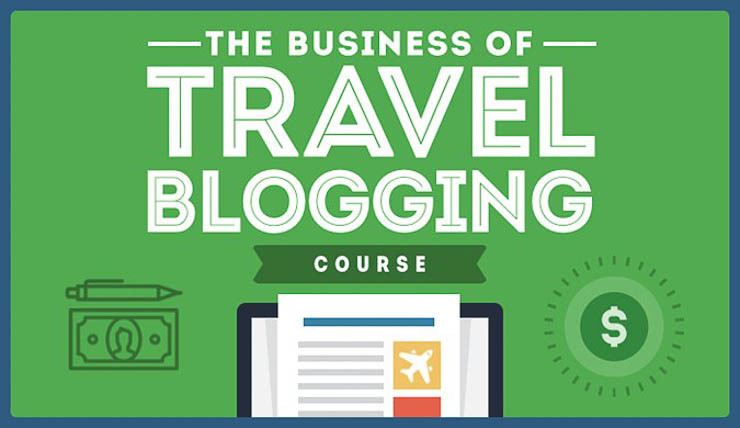 The best travel blogging course out there is Superstar Blogging from Nomadic Matt. I’m a member myself and have found a great deal of value in the content within, ranging from SEO, email marketing, social media, content creation, and much more. Not only that, but there’s also an excellent and active community feature where you can network and learn from other bloggers at all stages of the game. I’m convinced that education is one of the most important tools you can invest in if you want to take your blogging business to the next level. Ultimately though, the best blogging tools are going to be the ones you take the time to learn, become proficient in, and then master how they fit into the larger picture. It is also crucially important to think about your blogging business as a real business from the get go. And having a business means investing strategically and appropriately to achieve the growth or targets you are after. So start from the top, and work your way down… And don’t forget, investing in your business with tools like these is a tax deductible business expense too! Did you enjoy this article about the best blogging tools? Take a second to share it on Pinterest, Facebook, or Twitter. Thanks!